The Camdapter CamStrap allows you to hold on to your point & shoot camera through most any photo opportunity. Great for active photographers, family outings, teaching children, and other situations where it might not be the easiest to keep track or hold of your point & shoot camera. Available in two sizes, this easily adjustable hand strap wraps around any hand and allows easy access to all functionality of your camera, including the battery compartment. The CamStrap includes a machined aluminum adapter that won't block your camera battery door and will also allow the attachment of a neck strap. 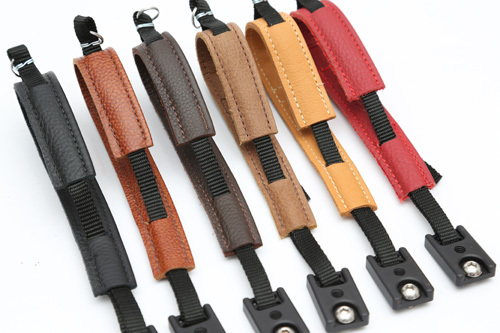 Made from quality leather, CamStrap is long lasting, comfortable, and attractive.